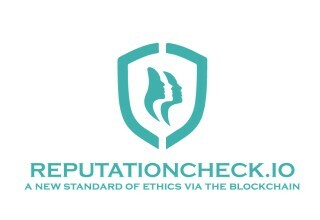 Los Angeles, USA, January 31, 2018	(Newswire.com) - ReputationCheck, a new blockchain based, due process platform, created to allow for anonymous reporting of sexual harassment and abuse for all genders, today released details of its structure and announced that it is actively seeking qualified investors. ReputationCheck was created as a response to the public exposure of serial sexual abuse by powerful men in Sports, Entertainment and Government. “With ReputationCheck.io we will empower individuals worldwide against sexual intimidation, harassment, and abuse by those in positions of power. We see the dawn of new possibilities through the use of cryptographic blockchain technology, and smart contracts, where individuals can share important truths, alert others of danger, and achieve justice while protecting the innocent.” said founder Juliet Annerino. ReputationCheck is a proprietary platform where Reputation Reports may be entered, shared, and distributed securely, and, most importantly, anonymously if desired. Once entered, Reputation Reports cannot be altered by third parties. To ensure confidentiality of identity, a cryptographic system of zero-knowledge proofs (ZKPs) will be employed on a private blockchain built on the Ethereum protocol. Using smart contracts, machine learning, and algorithmic analysis, ReputationCheck will be able to identify trends and aggregate reports to identify predators and alert the appropriate parties. Under the current system, vulnerable parties seeking justice risk humiliation, blacklisting, and even dismissal by family, friends, associates, and employers. This creates a culture of silence followed by an “avalanche effect” of victims coming forward years and even decades after a predator’s actions have damaged the careers and psychological well-being of countless innocent victims. The risks involved in public exposure prevent victims who are less established, and therefore more vulnerable, from coming forward to warn others. This delayed response allows dangerous individuals to begin and continue abusive behavior often for many years without consequence. There is a large target base for this platform from the entertainment industry. 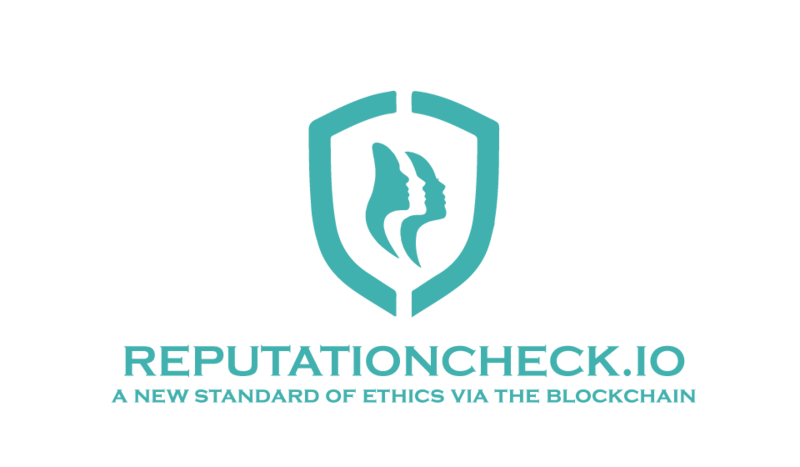 Founding partners with ReputationCheck can sponsor Reputation Reports by licensing the proprietary system for use by registered members. The platform has the potential for swiftly and easily integrating with the corporate best practices code of participating companies and organizations. From these pilot partnerships, ReputationCheck has the potential to expand to other industries in government, professional sports, academia*, the military**, hospitality and other services worldwide in need of this important resource. Advisers to the UN on blockchain projects have expressed interest in its applications on a global scale. ReputationCheck is assembling a team of developers and has created a Board of Advisors. The founder has begun to meet with VC and Angel investors who share the founder’s vision. Sign up to receive notifications of the platform’s developments at www.ReputationCheck.io. For further information, request for interviews or images, please email DecentralizedPR@gmail.com. *1 in 5 undergraduate women will be sexually assaulted before leaving college, according to multiple estimates. **At least 25 percent of U.S. military women report having been sexually assaulted, and up to 80 percent have been sexually harassed, according to Meade, Barbara J.; Glenn, Margaret K.; Wirth, Oliver (March 29, 2013). “Mission Critical: Getting Vets With PTSD Back to Work”. NIOSH: Workplace Safety and Health. Medscape and NIOSH.